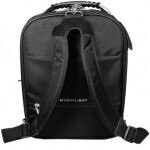 Developed around the unique needs of general aviation pilots, MyGoFlight’s Flight Bag PLC Pro is a solid, durable bag that will streamline any aviator’s life. 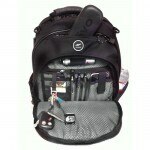 Functional and light, it is made out of water-resistant material and has a durable ballistic nylon exterior. 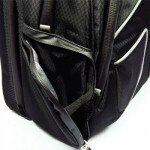 There are several mesh pockets to conveniently store your belongings and all of the compartments are easy to see into. Frequent fliers will appreciate the inclusion of an airport checkpoint-friendly pouch that allows you to easily access your iPad or laptop. MyGoFlight also sells a range of iPad cockpit accessories, from slip cases to kneeboards. Smaller items can be securely stored in a front organizer section. We were particularly impressed by the inclusion of a quick access pocket at the top of the bag for essentials such as keys, wallet or phone. 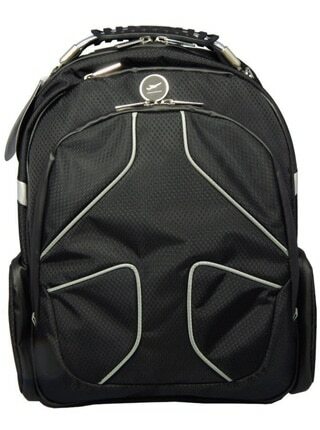 For optimum comfort, the backpack straps and shoulder strap are nicely padded. To discover their full range of products visit the official MyGoFlight website.